Christopher Aird, manager’s assistant, Group Marketing and Communications, Republic Bank Limited, left; Darrion Narine, president of the Guild of Students; Prof Indar Ramnarine, deputy principal; Jerome “Rome” Precilla, entrepreneur and WOW featured speaker; Dr Deirdre Charles, director of the Division of Student Services and Development and Joseph Ince, manager (Ag.) Careers, Co-curricular and Community Engagement. 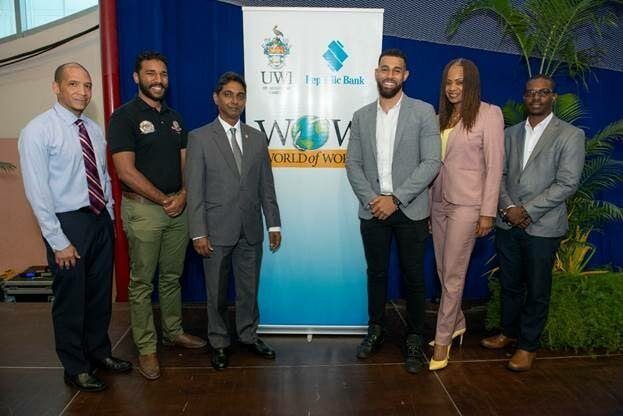 THE University of the West Indies and Republic Bank Limited (RBL) recently launched the 2018/2019 instalment of the World of Work (WOW) programme. The initiative, which is over 20 years in existence, has benefitted from a decade-long partnership with RBL. Its goal is to equip final-year students with the necessary skills to successfully enter the job market after graduation. Addressing students at the launch, Dr Deidre Charles, director of the Division of Student Services and Development (DSSD) at the St Augustine campus explained, “The DSSD is committed to facilitating each student’s personal and academic success while also ensuring you have the skills and well-rounded experiences to adapt to life after university. 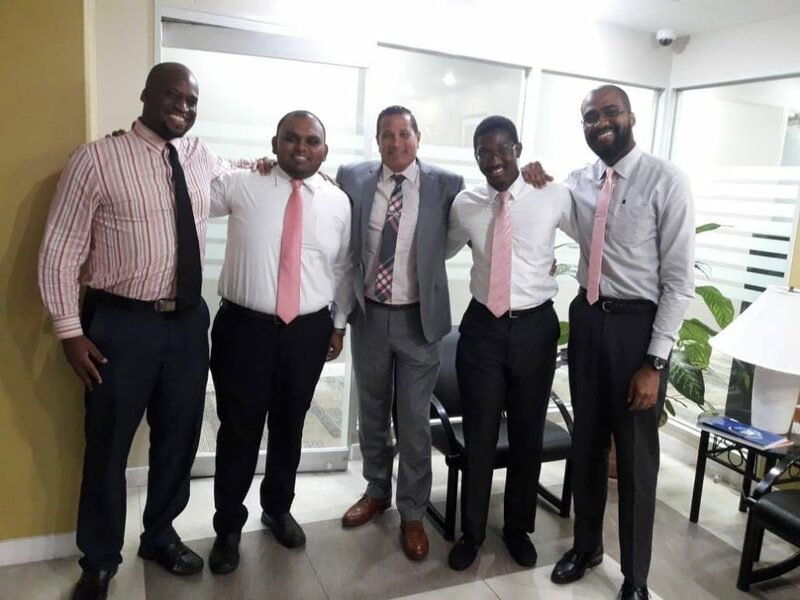 Tatil managing director (centre) Ron Milford with his team members. The WOW programme consists of several parts: the seminar, session on resume writing, interview preparation, mock interviews and a networking cocktail event, all of which takes place from October 2018 to April 2019, culminating with a recruitment fair on April 12. The programme continues to attract an ever-increasing number of participants with student involvement growing considerably to approximately 1,400 final-year students in 2018/2019. The precursor to the WOW programme is the career advice programme (CAP), which helps first and second-year students identify and embark on their career chosen paths. Reply to "Preparing for the world of work"